Don’t you want to feel safe at home? Don’t plan house lock change without the help of our staff. Experienced in all types of home locks available on the market of British Columbia, our professionals can advise and guide you so that you can pick the right locking systems for both exterior and interior doors. Want to install furniture or window locks? Need help with a sudden problem with your deadbolt? You can always turn for help to our Locksmith in Coquitlam. With huge expertise and constant training, our Coquitlam residential locksmith specialists can help you make fabulous improvements in terms of your house’s security by installing properly and on time new locks, rekeying and fixing locks, and helping you out during emergencies. When you move, call us for immediate lock rekey. Don’t take risks with the locks of your new house. Rekeying locks is affordable and we offer the service fast. If you need us to rekey your locks urgently, rely on us. With our expert means and huge experience in all residential locks, we help people in Coquitlam in timely fashion. Your security is determined by many factors. From picking the right locks to making sure they are installed properly and fixed fast, you can depend for every single residential locksmith service on us. Familiar with the differentiations among locks, our technicians can install locks of all types and help you with their problems. From interior and exterior knob locks to deadbolts, cabinet and window locking mechanisms, you can trust that we install, fix, change and replace locks of any brand and type. Need our assistance urgently? Our company offers full support and 24 hour locksmith house services. When keys are broken, stolen, lost or stuck inside the lock, one of our professionals rushes to your assistance. 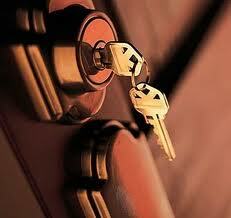 Lockouts due to such key problems and any problem with damaged locks are all taken care of quickly. Don’t hesitate to ask us questions and request residential locksmith Coquitlam services. We can help now.